Although hawthorn fruit grows throughout many parts of Europe, it is most frequently used in Germany, Austria, Switzerland, and the British Isles. These are the areas where it has gained a loyal following over the years for its cardiac benefits, as well as the symbolism it has in folklore. For example, it is used to decorate the Queen’s table at Christmas in the United Kingdom and it is also sent as a gift that symbolizes health and power in other areas. Clinical studies have backed up a lot of folk medicinal knowledge in the past couple of decades and scientists today continue to make promising advances in their knowledge of how this plant works within the body. Having been used for centuries in folk and clinical medicine alike, berries from the hawthorn tree have shown a number of beneficial properties that have put them at the forefront of herbal medicine. However, hawthorn tea can be made from the berries as well as the leaves and flowers for a more potent effect. Hawthorn tea can be used as a heart tonic, because they may improve cardiovascular function in many people. The effect of hawthorn tea is that is increases the bloody supply and oxygen to the heart, so that the body’s blood circulation improves. That in turn can help people recover more quickly from heart attacks or other ailments that have to do with this part of the body. It can help with high blood pressure, high cholesterol, coronary heart disease, and improving circulation to the extremities of the body. Drinking the tea daily can help strengthen arteries, and reduce the level of inflammation or clogging inside of them, cleansing the system so that the heart can do its job better. Another beneficial use for this tea is its ability to help calm tension and relax jittery nerves that are caused by feelings of anxiety. This particular tea has a calming, sedative effect on the cardiovascular system which can offer a calming effect on those that are suffering from feelings of tension, high blood pressure, and uneasiness. The naturally calming effects of this tea are highly recommended for soothing those who are under a lot of tension or stress. The relaxing effects of this tea are especially useful since it can help to calm the body without inducing sleep, which is commonly experienced after drinking other types of sedative teas. Hawthorn tea is packed with many different beneficial antioxidants and active compounds which can help prevent damage that is done by free radicals in the body. This helps to better protect our cells from abnormalities and damage which can in turn protect against the development of certain cancers. Hawthorn tea is also high in vitamin C which makes it great for building up your immunity. This tea also contains small amounts of vitamins A, some B vitamins, potassium, and magnesium. Preparation: To prepare this herbal drink, pour one cup of hot water over one hawthorn tea bag. Allow the tea bag to steep for 10 minutes. Hawthorn tea typically will have a sour or tart flavor. A bit of cinnamon can be sprinkled into it or honey can be stirred in for added flavor if preferred. Hawthorn tea is a safe drink that can be taken 1 to 2 cups a day regularly or as desired. Before using it for medicinal purposes, it’s best to consult with a health care professional to be sure that you are able to take it. Although there are very few side effects reported to use of this tea, it could cause diarrhea in some and in rare instances it can also have effects on certain prescription medications. Hawthorn tea has been used for many centuries as a heart tonic, but every day new research is uncovering the many other benefits this tea has to offer aside from that. Drinking this tea is a great way to not only improve the health of your heart and arteries, but it can also be great for relaxing or for getting a few extra vitamins into your diet. If you are interested in purchasing this tea to try, it can most often be found locally in the tea section of health food stores. However, for those who are looking for a more sure and convenient way to purchase this tea, it can also be found available for purchase from various online merchants as well. When you are making a purchase online it is good to choose a reliable seller that you can trust. 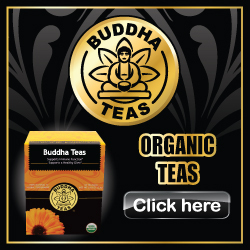 We highly recommend Buddha Teas as a dependable supplier of fresh and organic tea that’s been safely packaged in bleach and dioxin free tea bags. We truly help that you have been able to find this article informational and helpful enough to answer any questions you may have regarding hawthorn tea. However, for further inquiries regarding this tea you are always welcome to contact us. Copyright 2015 © HawthornTea.net | All Rights Reserved.